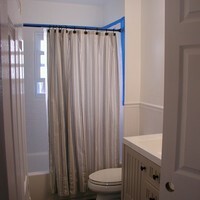 The bathroom was falling apart and in critical need of remodeling. It was extremely outdated and didn’t serve our needs any longer (not that it ever did). The floor had a heavy slope because it was extremely unlevel…. 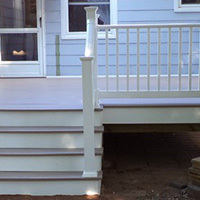 We wanted a new deck extending from the rear door of our house using pvc decking for low maintenance and appearance. 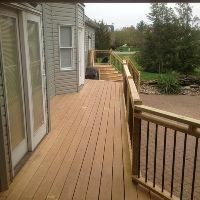 The deck was built over an existing patio area. 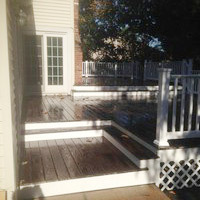 We chose pvc decking and vinyl railing so that it would be easy to maintain and keep clean…. 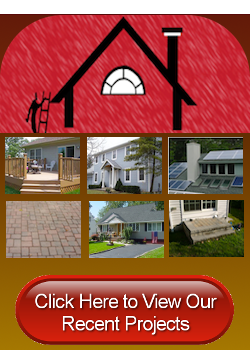 Our existing wood deck was rotting and crumbling apart. We had the wood ripped out and replaced with Trex composite decking. We also replaced the railing with a low maintenance vinyl railing system…. 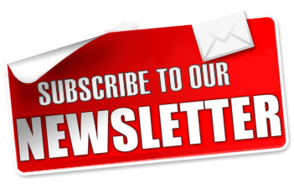 If you’re looking for more information on our latest remodeling projects in New Jersey, then please call 732-623-9790 or complete our online request form.